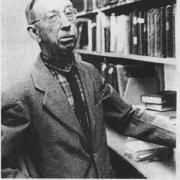 The Nella Braddy Henney History Room was added to the Conway Public Library in 1976. Keith Henney established the Henney Room in 1976 in honor of his late wife Nella Braddy Henney. As historians, they understood the unique historical relationships of the Mount Washington Valley and wanted to have this history room cover the history of more than the town of Conway. As a result, it holds historical materials for twenty-seven towns New Hampshire and Western Oxford County, Maine. The Henney's met while both were employed as editors for Doubleday Publishers in New York. Neither was a native of New Hampshire. Mr. Henney was born in Ohio, while Nella Braddy came originally from Georgia. She was in the general publishing business, while his field was in editing technical books. Asked in 1976 how long he had been familiar with our Valley, Mr. Henney replied, "Oh, we bought property in the hills of Snowville some 40 years ago but it was not until about a decade ago that we moved here permanently."